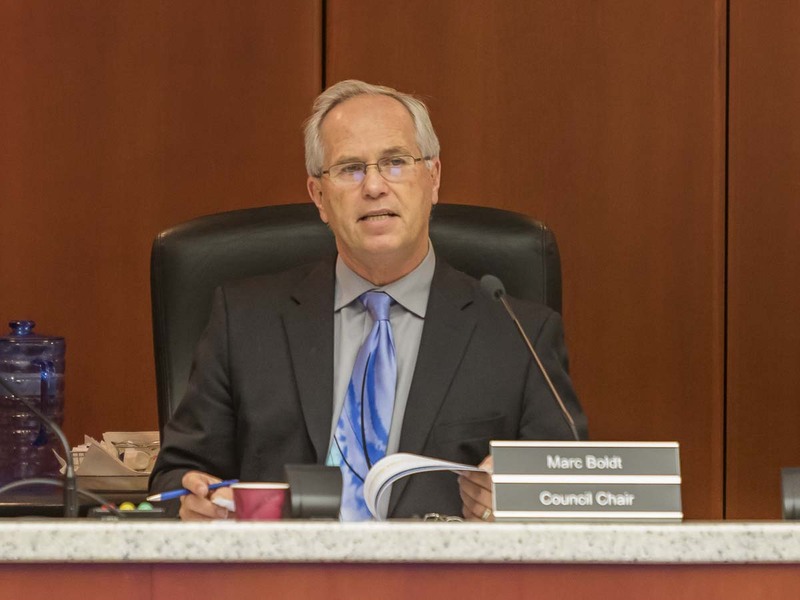 VANCOUVER — The Clark County Council will host an open house from 2:30 to 4:30 pm Tue., Dec. 18 to honor Council Chair Marc Boldt and Councilor Jeanne E. Stewart for their many years of service to the residents of Clark County. The gathering will be in the sixth-floor hearing room in the Public Service Center, 1300 Franklin St.
Stewart was elected to the then board of county commissioners in 2014. 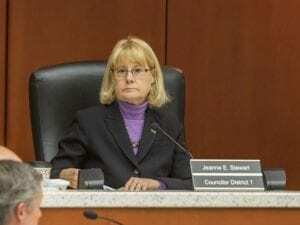 Her title changed to councilor when Clark County moved to a home rule charter form of government. Before being elected to the county seat, Councilor Stewart served 12 years on the Vancouver City Council. She has served on many boards and commissions including the C-TRAN and Columbia River Economic Development Council boards, the Regional Transportation Council and the Audit Oversight Committee. Councilor Stewart has worked in various accounting, finance and auditing functions at US Bancorp and ran a family business with her husband for 29 years. Stewart earned an associate degree from Clark College, with honors and an emphasis on business. She co-founded the Carter Park Neighborhood Association, served as chair of the Vancouver Neighborhood Alliance, served five years on the Vancouver Planning Commission and held numerous volunteer positions with Vancouver Public Schools. 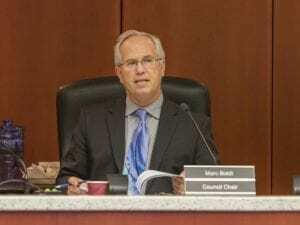 Councilor Boldt was elected chair of the council in 2015. In 2013, he was elected to the Board of Freeholders, which wrote the home rule charter approved by voters in 2014. The chair position was one of two new positions added when the charter was approved. Previously, Boldt served as a member of the then Board of County Commissioners from 2005 through 2012 and as a 17th Legislative District representative from 1995 through 2004. A native of Vancouver and graduate of Evergreen High School, Boldt earned an associate degree in agriculture from Yakima Valley Community College. Boldt is a member of the Clark County Farm Bureau and has served as a local 4-H Leader.